The year that I photographed ‘A Year in the Life of Grange’ was 2012. The 2012 vintage has just been released and the reviews are fantastic. One hundred points from Andrew Caillard MW (Langtons) and many more around this mark. 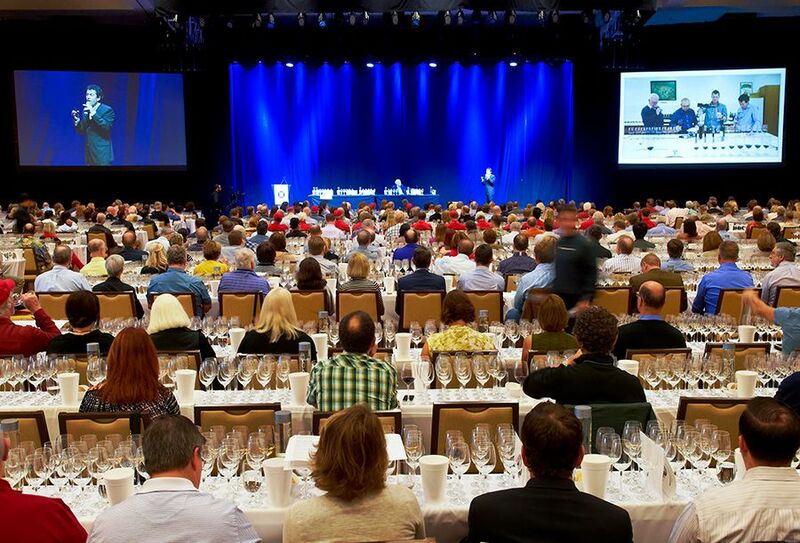 Peter Gago presents at The Wine Spectator’s New World Wine Experience tasting in LA : Photo © Milton Wordley. Grange is undoubtably Australia’s most famous wine. 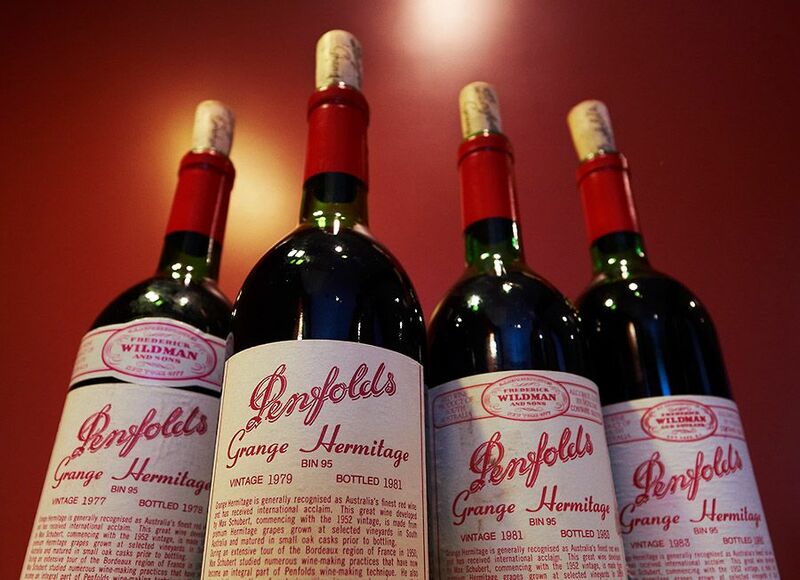 Penfolds work very hard to keep Grange on the international wine landscape. I know, I observed Peter Gago and his team during 2012. The other thing I observed, was the great respect the rest of the Australian wine industry has for this effort and investment. Grange really does help keep Australian wine up there in the fine wine end of the international wine market. For Grange to keep the profile it has, people all over the world need to buy it. One of these people is Dr Robert DeBellevue or Dr Bob as he is known, from New Orleans in Louisiana. He has been buying Grange since the late 70’s. I met Dr Bob when working on the ‘Grange Book’. We occasionally get over to New Orleans, he makes the trip downunder most years, we have remained good friends ever since. Here’s one Grange collector’s story. Right now I’m sitting here with you, other wise work wise I’m a dermatologist in New Orleans Louisiana. One of my great hobbies is wine, I have a passion for wine… My other passions are birdwatching and travelling. New Orleans has been my home for a very long time, I love it here. Your hobbies bird watching and wine how did that come about ? My interest in wine began in my mid 20s with the 1970 Bordeaux vintage, but quickly became Australian when I visited there in 1978. I hadn’t had much exposure to good wine before then except for Chianti Classico, which was one of the few good wines we could get in my hometown Crowley, Louisiana. Crowley is a small town near Lafayette, about two and a half hours drive from New Orleans. My family is of French descent. We came here straight from France in the French Revolution in 1789. I say that because there were also French Cajuns here from Nova Scotia, Canada who came here in the 1760s. My family’s been here a long time. When I was young I was a stamp collector so I was intrigued by foreign countries and where these stamps came from. I must have read just about every book in the public library. 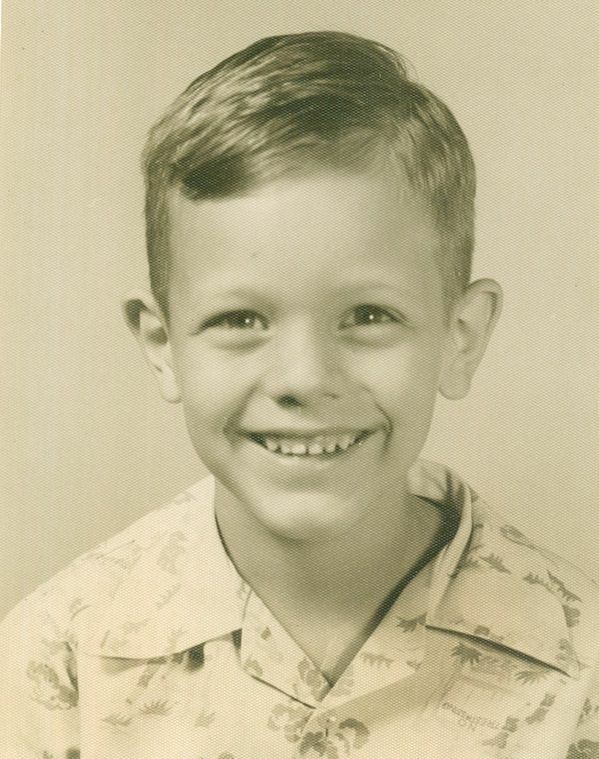 Growing up in Crowley we ate a lot of crawfish and gumbo and hung about a lot outdoors. Dr Bob still loves Crawfish. 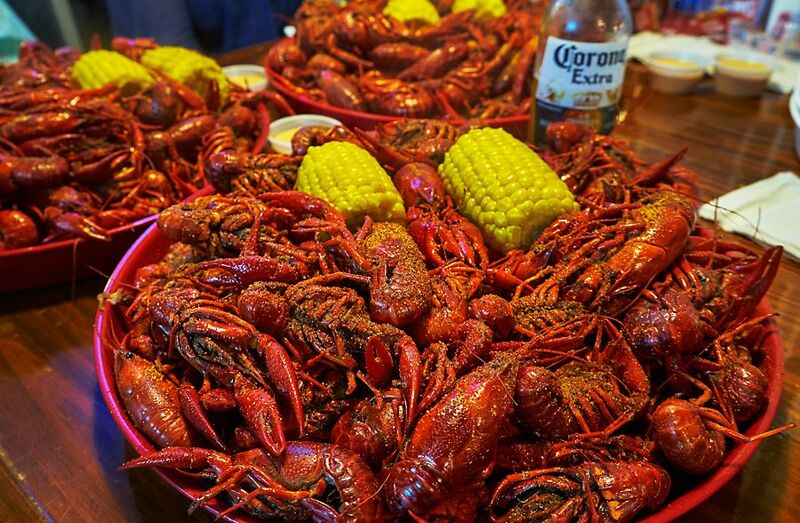 We were with he and Julie one night, he ate this 5lb plate of Crawfish and half of Julies : Photo Milton © Wordley. 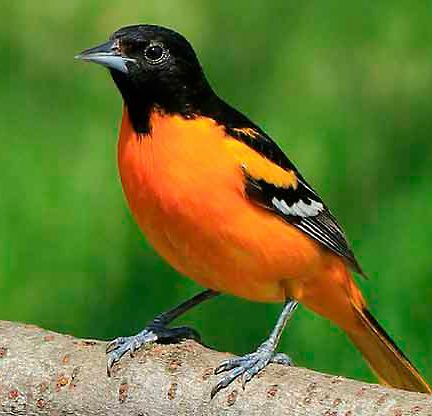 One day my uncle showed me some pictures of ‘Baltimore Orioles’ and all sorts of different birds that were around. ‘Baltimore Orioles’. Photo Birds and Blooms.com. 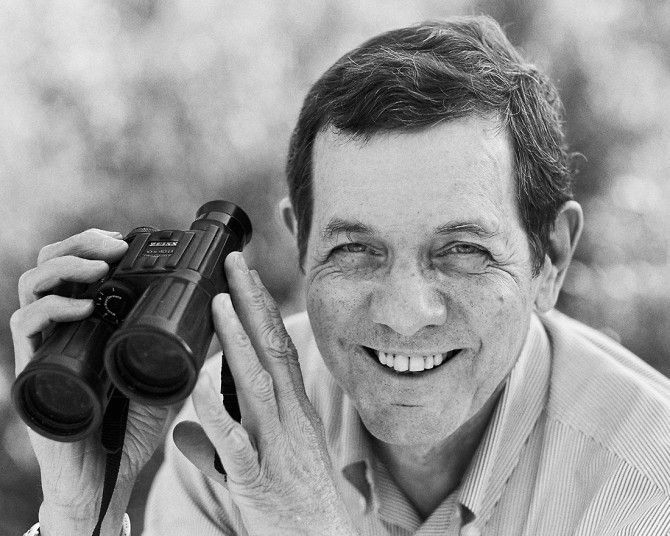 He gave me a bird book when I was six years old, that’s when it started. I’m a Sagittarian, so I’m a traveller. I have seen over 5000 species of birds, been to South America at least 30 times Africa six times, Australia over 30 times, India, Borneo, New Guinea, South Pacific, Europe just about everywhere. So I travel a lot for birds and wine. Once I started travelling I couldn’t stop. 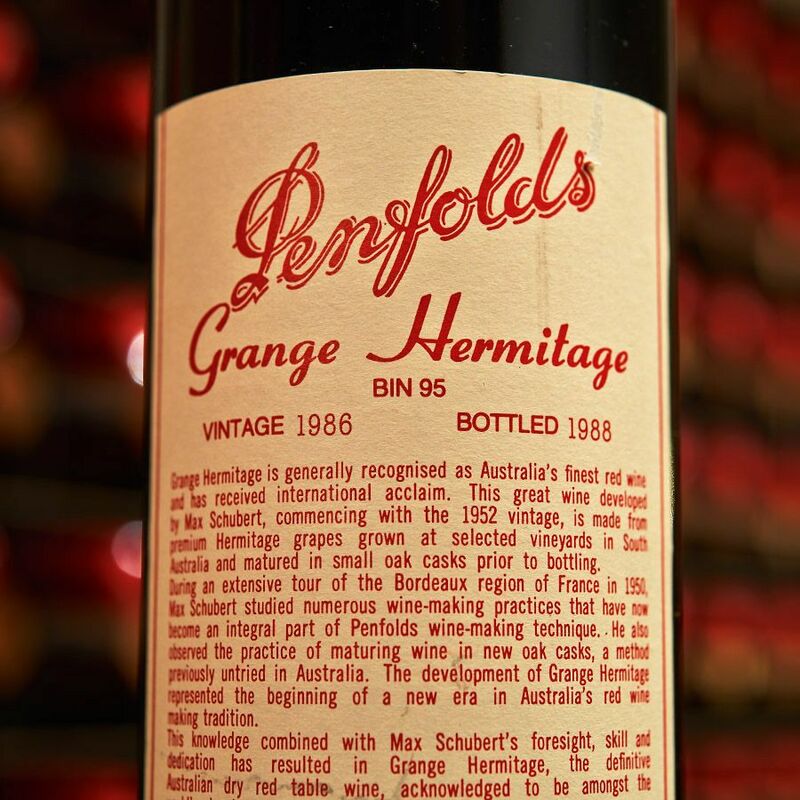 You have one of the most extensive collections of Grange how did that come about ? In 1978 I went to a dermatology conference in Brisbane. The clinic I work for paid for one overseas trip year, so I came to Brisbane on my sister’s boyfriend’s suggestion. At this conference there was a door prize of a bottle of Grange. It was donated by one of the pharmaceutical companies. I didn’t win it, but it got me interested. The guy who donated it told me about Grange. 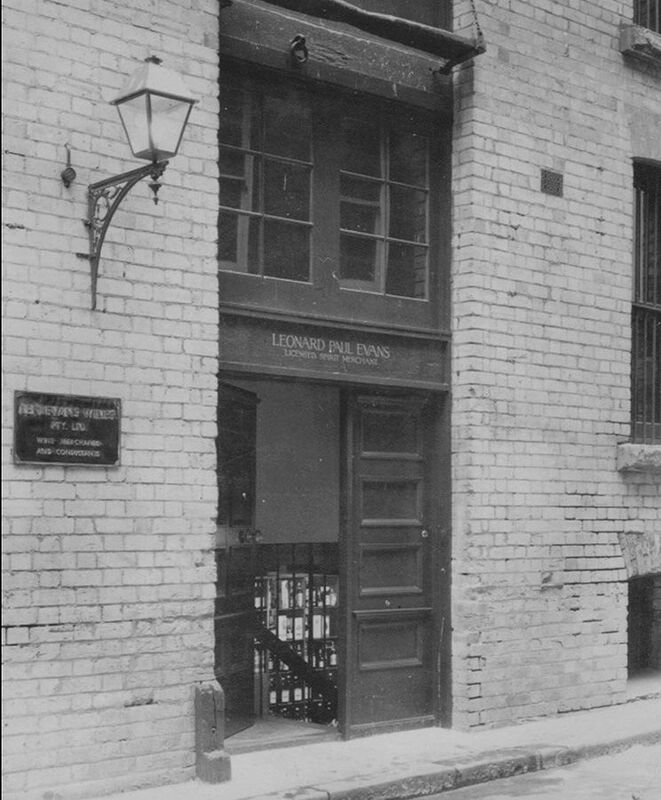 He told me to go to Len Evans’ wine store in Sydney. 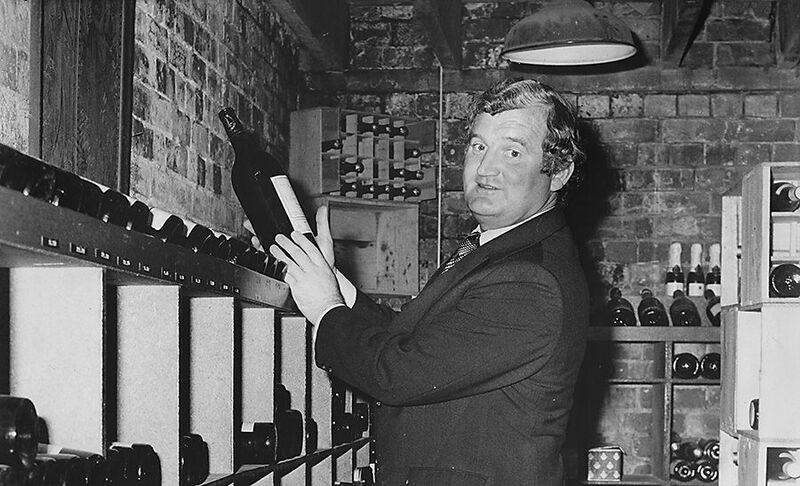 Len Evans in his cellar at Bulletin Place : Photo Supplied. I’d never tasted it. I hand carried them back on the plane. You could do that in those days, no-one minded, couldn’t do it now. When I got home there was this one restaurant I knew that would let you bring your own wine. So I rang my friend Dave Gladden from the biggest wine store in town to see if he was interested in having a look at a couple of bottles. We met there and opened the first bottle, it was like an epiphany. That was the 1965 Grange, it was just incredible. That sold me on Grange forever. I have owned every vintage of Grange except 1951. You have since got to know most of the Grange winemakers . On one trip down under many years ago I hoped to meet Max. I went to his house one day and I knocked on the door, his wife Thelma answered, she was really nice, but unfortunately Max wasn’t home, and I was leaving the next day, so I didn’t get to meet Max. 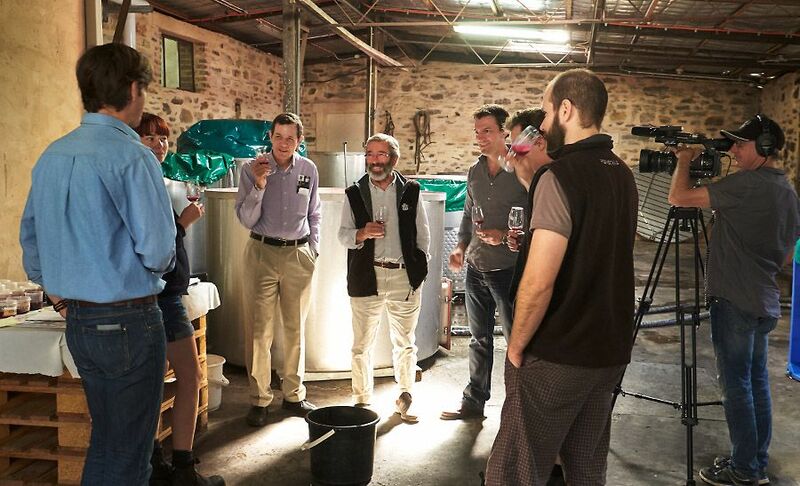 The Grange Winemakers : Photo © Milton Wordley. I knew Don Ditter quite well. Unfortunately Don passed away, but whenever I’m in Australia I always catch up with his widow June. I also always try to see John Duval and Peter Gago whenever I’m in Australia. I have stayed with them all at their houses. They’ve all been wonderful to me, they are three of the nicest, most wonderful people I have met in the wine business. I first met Don Ditter at a Penfolds wine lunch in New Orleans years ago. They invited me because I was the only person they knew who had been to Australia. They sat me next to Don, we hit it off really well. He said, “You should come and see me next time you’re in Australia.” Luckily I was going the next month. He showed me around Penfold’s Magill and invited me to stay at his house. I met John Duval around this time, I think was about 1983. 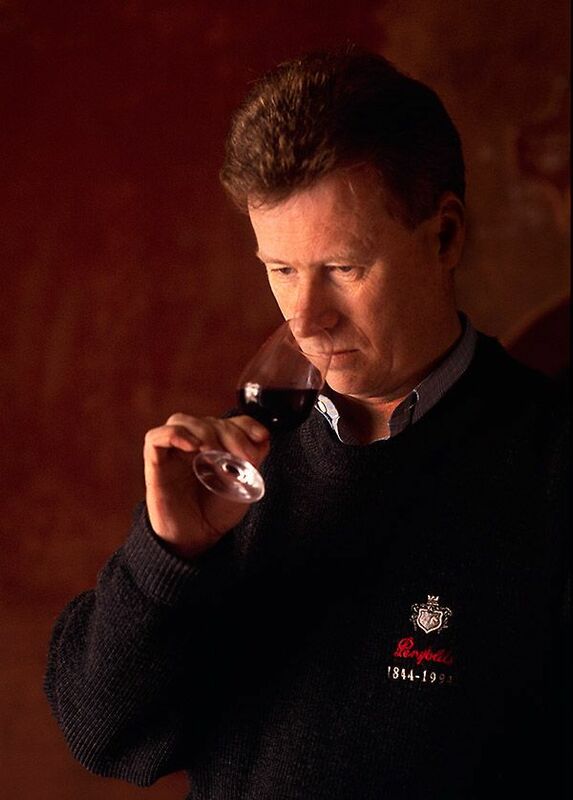 Then a bit later Peter Gago, around the time he joined Penfolds, I think it was around 1989. So I’ve known these guys for a long time. 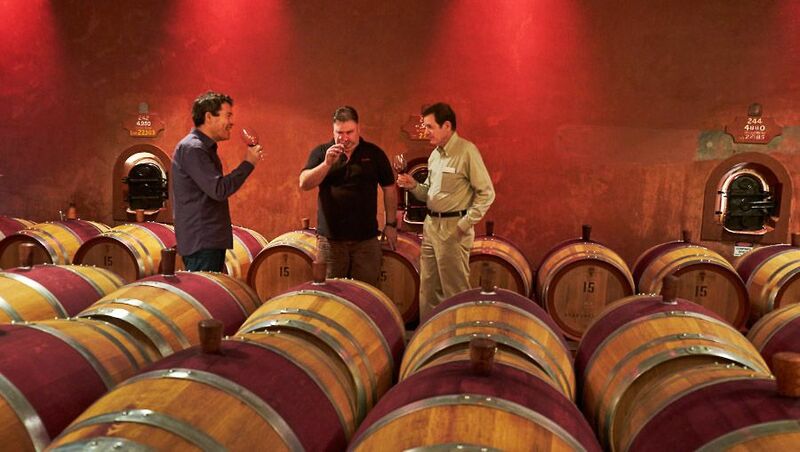 Peter Gago and Jason Barrette barrel sampling with Dr Bob in Cellar two at Magill : Photo © Milton Wordley. Other favourite wine styles ? 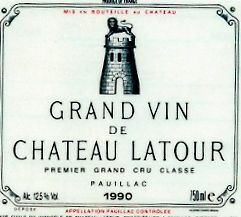 I love Château Latour, of all Bordeaux’s that is my favourite. I like Château Lynch Bages, I like Pauillac the best. I have a friend who collects Château Lafite Rothschild. Whenever he brings one over I bring out a Château Latour, I always think the Château Latour wins hands down. He never agrees with me so I suppose it’s just a matter of taste. I like Priorate from an area near the Barcelona area. Spanish wines are great value for money. Spain has the largest planting of vineyards in the world, and yet its listed as only the number three producer of table wine. Wine bars , any favourites ? 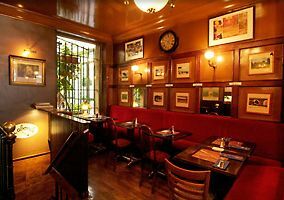 L’Ecluse, the wine bar for Bordeaux wine connoisseurs – and Willi’s in Paris. They also have great guinea hen at Willis. The 1953 Grange was incredible, probably my number one wine of all time. 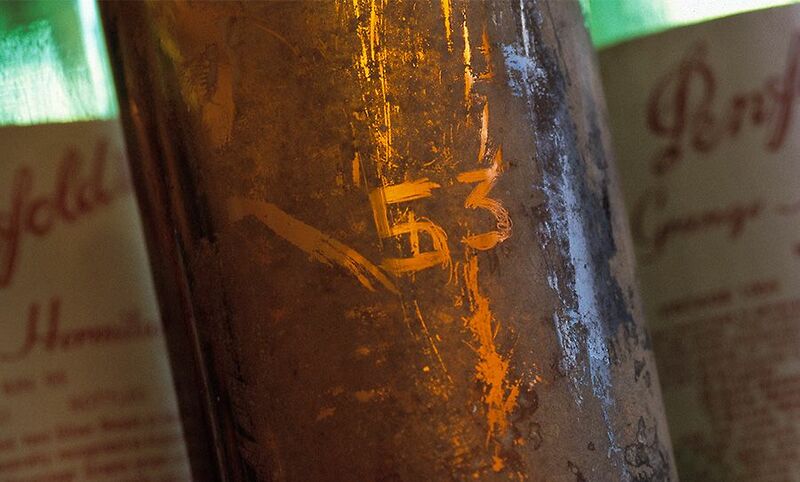 The 1953, Dr Bob’s all time favorite Grange. This bottle was at the ‘Rewards of Patience’ tasting in Adelaide 1997 : Photo © Milton Wordley. Unfortunately I’ve drunk all my old Granges. I liked a lot of them. The, 62, 63, 65, 66, 71 were all great. The 76 was one of my favourite of the mid range, then the 86, the 1991, 98 and 2001 and on and on. Has the style of Grange changed ? The Grange style has changed some, because when I first started buying Grange they’d said “oh you shouldn’t never touch it until it’s a least 15 or 20 years old”. The 1986, one of Dr Bob’s favorite Granges : Photo © Milton Wordley. I get 24 bottles a year. I always try a bottle pretty soon after I get them, just to see what it’s like and I always love them. The old ones are great too, I just like Grange both ways. Over the past few years they are much more approachable when they are young. The 2008 and 2010, boy are they good wines, exceptional wines. Other memorable wines or wine experiences . Obviously I’ve had some great Château Latour. 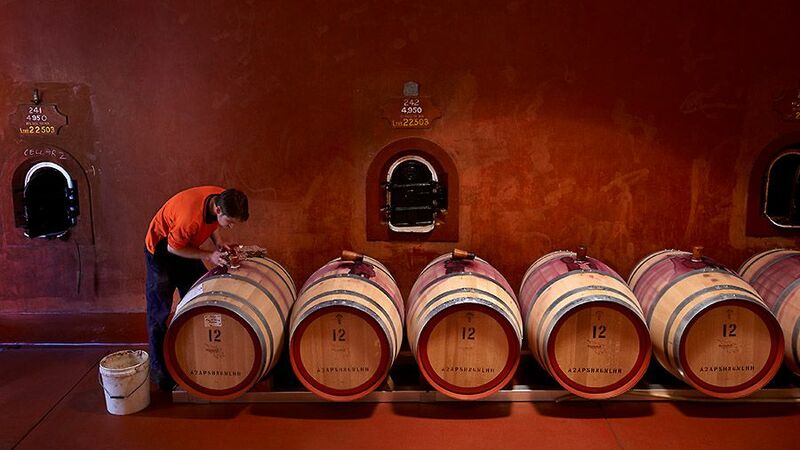 We had a great visit to Cahours one time, and to Château Lar Gazette and they have old plantings of Malbec. That was an incredible experience. We went to Argentina one time caught up with the Archaval Ferrer Winery where Mr Ferrer loved Grange, they make the big high-end Malbecs. 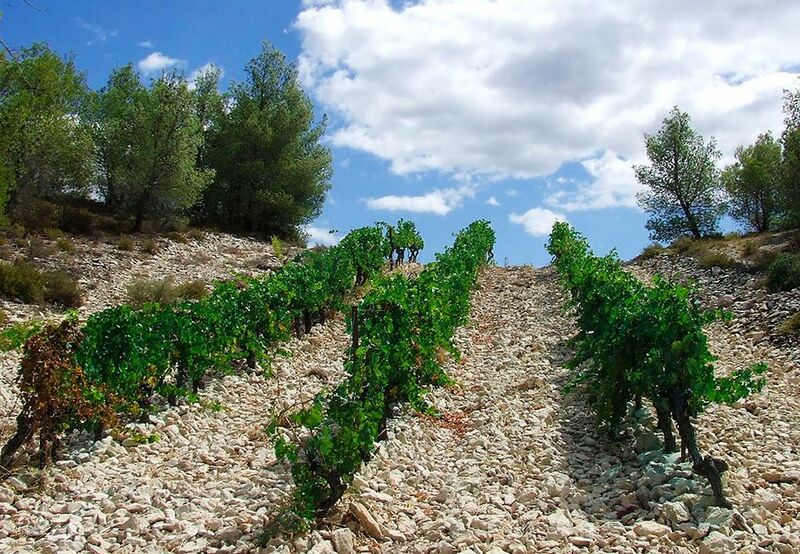 One time we went to Domaine Trevallon a very small winery in the south of France. It’s a husband and wife and their son. The son was going to be taking over. One of the smaller plots at Domaine de Trévallon : Photo Leon © Stolarski. We had a great time there, they told us that they based their wine on Penfolds Bin 389 Cabernet Syrah. The son was going to Australia with his girlfriend, so I set them up to go see Penfolds , they had a great time. One night when Peter Gago was in town, I bought a bottle of 1990 Bin 389 to a blind tasting. He thought that it was 1990 Château Latour and then everyone else did as well. 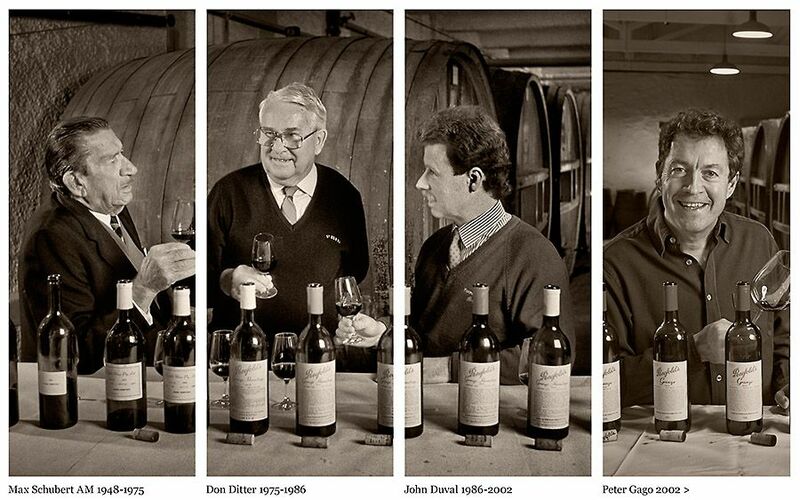 They all thought if Peter Gago thinks it’s 1990 Latour, then it must be a 1990 Latour. But when it was uncovered it was a 1990 Bin 389, still had six dollar price tag on. It had aged very well. I love St Henri, Magill Estate, RWT, they don’t put out a bad wine. Cabernet, I had some pretty good California cabernets, but they are no where near as good as Penfolds 707. It would be at my favourite New Orleans restaurant Gautreau’s. 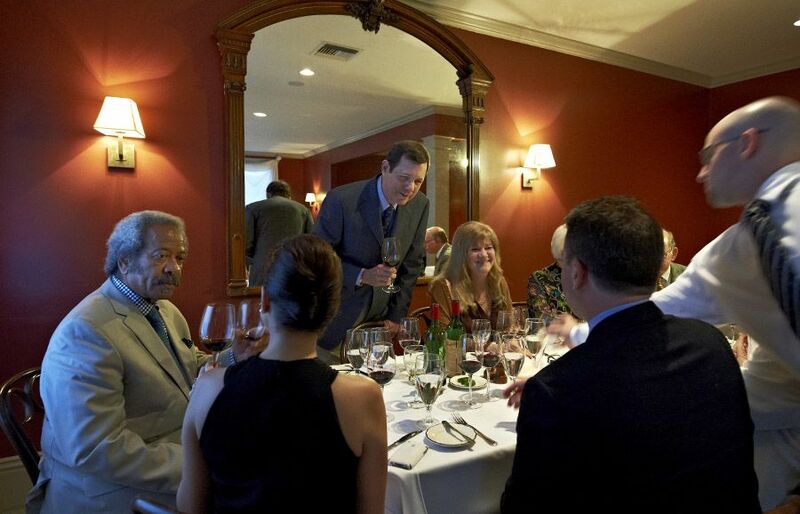 Robert ‘Dr Bob’ DeBellevue MD hosts one of his Grange dinners at Gautreau’s restaurant. Allen Toussaint is on his right and Julie on his left.The 1977, 1979, 1981 and 1983 vintages were served : Photo © Milton Wordley. I’d have the chef’s soup, then Guinea Hen with black berry sauce. They only cook it especially for me, I’d have a bottle of 76 Grange, and finish with some chocolate cake from Brigsten’s in New Orleans. For starters maybe a white, a Grand Cru Montrachet, whatever year I can get my hands on. 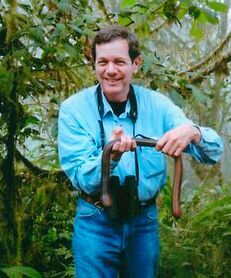 Dr Bob holding a giant earthworm while birdwatching in Ecuador. I love being a dermatologist, and it also allows me to travel. I work hard so I can afford to travel. Travel is the thing I love to do. The first birdwatching trip I did was to Kenya, I just signed up on this trip, it was fabulous. The first wine trip I did was really when I went to Australia and bought the Grange. I thought I can continue doing this, it’s great. I love to get to Europe, just drive around, see the old museums, churches, and just sit in the small towns, have some bread and cheese, eat great food and drink fine wine. I think some of my French heritage must still be in my blood. The French influence in Louisiana, is great, it’s been lost a little bit in New Orleans, it’s become more cosmopolitan. The history of the French and the English, and then the Spanish who came here, is a fascinating history. I don’t speak French, my parents spoke French, or Cajun French, it’s a little different. The Cajun culture here is a unique culture for America, and it’s preserved here. We’re keeping it, it’s very strong. What keeps it alive here is the music, the food, and the language. Now they teach French in school, it’s mandatory in Lafayette and surrounding areas. What’s the wine scene like in the USA especially in the area you live in ? There is a small but very serious wine culture here in New Orleans. We have to keep our wine in Eurocaves, we can’t have a cellar as the water table is too high. I might call someone up and say, “Let’s have a wine dinner on Thursday”, so wine connects us, it gets us together. A Dr Bob wine dinner in LaFayette. We take our own wine in many of the restaurants we meet in, sometimes they don’t charge corkage, sometimes they do, but I don’t mind. I have a policy that I always let whoever is looking after us and the chef taste the wine we bring. Most of the time we haven’t paid corkage, and it’s important for me to do that. Wine is for sharing, and often these people don’t get the chance to see some of these wines. I can then go back there any time and feel comfortable. The people, the owner, the managers and the staff appreciate it. It’s a good thing to do anyway, it’s that last glass of wine that can make you feel bad the next day. A few wines from a Dr Bob Grange dinner : Photo © Milton Wordley. It’s my hobby and my passion, that’s what it’s for to share. I love Australia, I love everywhere I go there. 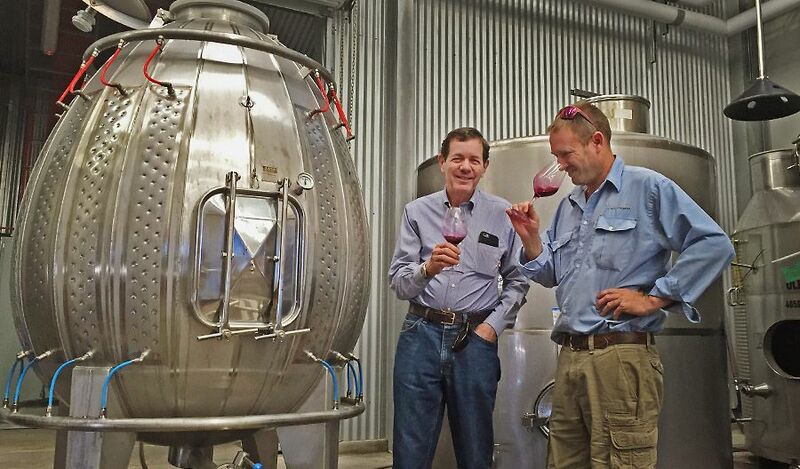 Dr Bob on the set with Stephen Henschke during Tyson Stelzer filming one of his wine series : Photo © Milton Wordley. 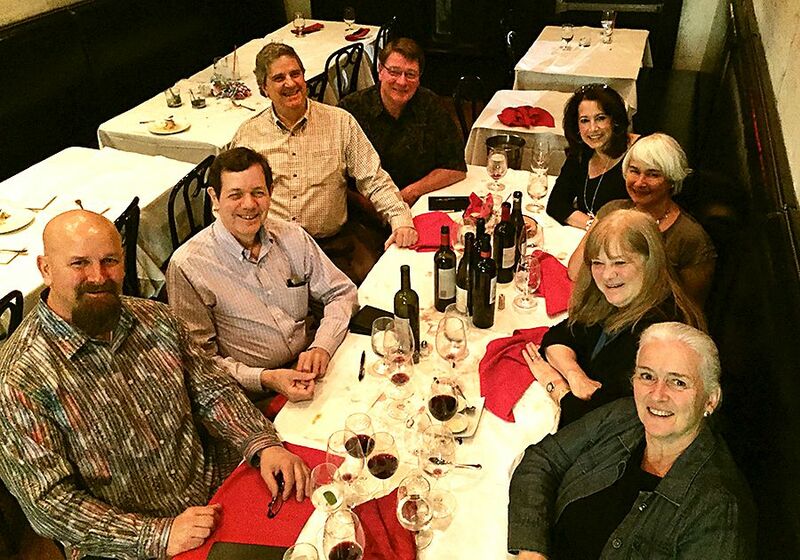 Just about everybody in the wine industry has been wonderful to me, just makes me feel like home. Dr Bob and Peter Fraser stainless steel egg tasting at Yangarra : Photo © Milton Wordley. 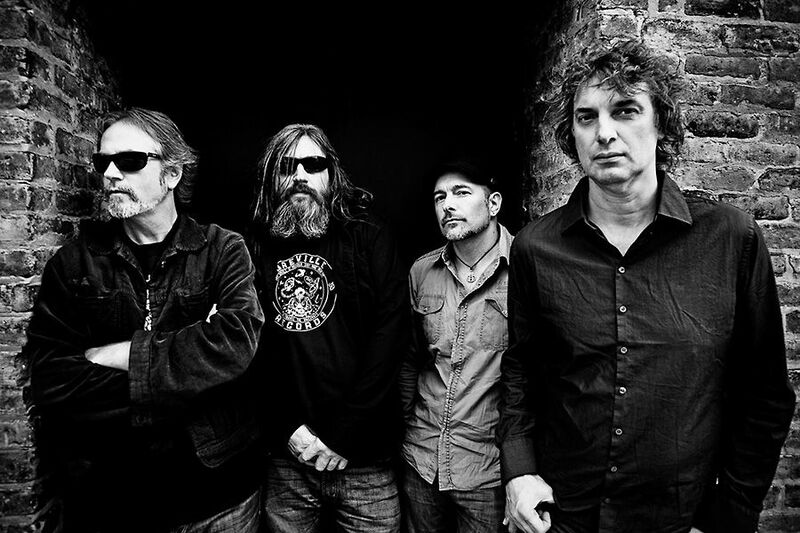 My favourite band is Australian – ‘The Church’, I’ve followed them since 1980. My favourite authors are all Australian Peter Carey, Tim Winton and Richard Flanagan, the Tasmanian who won the Booker prize. Australian novels are my favourite reading. I’ve made lifelong friends in Australia, and that’s more important to me than all the Grange, all the birdwatching and all the travel. That’s it – lifelong friends. Lifelong friends are something that’s priceless, you can’t replace. That would be my number one thought. On the flight home to the States, I can’t wait to go back the next time. 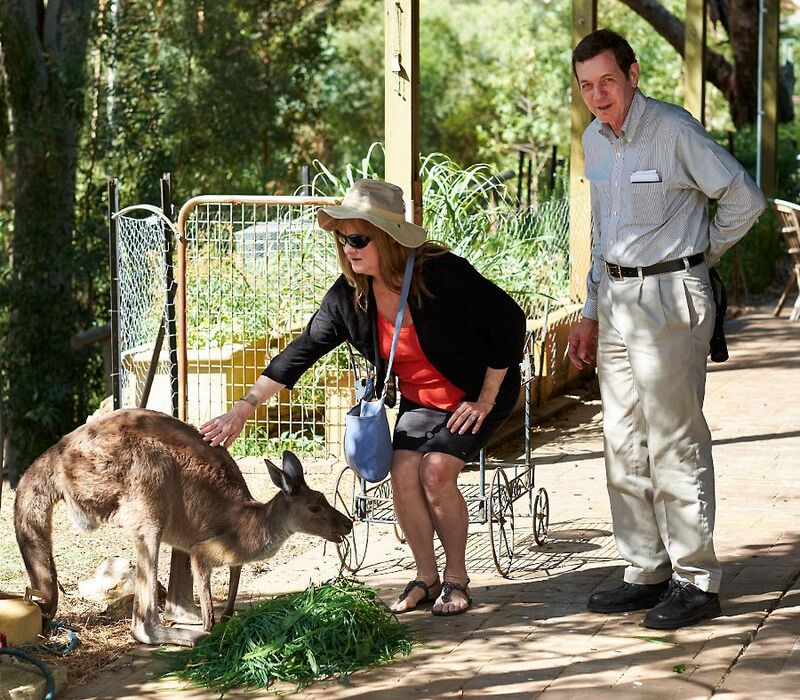 Julie and Dr Bob get to know ‘Corny’ at Kevin and Kaaren Palmer’s sanctury in the Adelaide Hills : Photo © Milton Wordley.